These are the last deviations I published! I'm a traditional artist who grows every single day in abilities and in nmber of scars. That is the life. I'm also a Language, Linguistics and Literature Education student at Technologic Federal University of Paraná (A.K.A. UTFPR) and a drawing teacher. 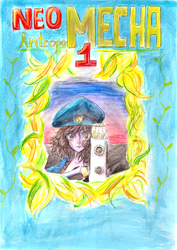 My current project involve a comic book "Neo Antropomecha", which is being posted on instagram and tumblr as well, and my manga drawing lessons. My last undertaking above involves teaching how to create your own characters, and not necessarly copying Narutoes, Gokues, Ashes etc. You can disagree with me at will. I don't mind: after all, we are free to have our own opinions and theories about something. And.I'm sorry for ignoring some commissions: I was kinda trying to put my pieces toeghether while people of my family were trying to break me back again. This is a backup written file for indexing final fantasy tactics Support abilities for role playing purpose. Reember that Final Fantasy Tactics, Final Fantasy tactics Advance and Final Fantasy Tactics Advance belongs to #squareenix as everything written down bellow. For our tabletop game, we're going to divide those abilities in levels, wich level is indexed by their AP or JP (depending on the game) cost. Thanks very much for faving--Obrigado! Acabo de compilar o álbum que prometi lhe dar. Só preciso de seu e-mail e isto poderá se concretizar. Trata-se de um pdf com um one shot de Neo Antropomecha. Nele se encontra uma retradução dos capítulos 1 e 3, mas o capítulo 1 está com conteúdo extra. Aqui está a petição sobre o substituto para a Sonic Comics, depois que eles terminaram em uma série de quadrinhos de Archie, e a sobrevivência da Sally Acorn e os combatentes da liberdade ficaram atentos por ShanhaT, você sabe que eu sou autista.